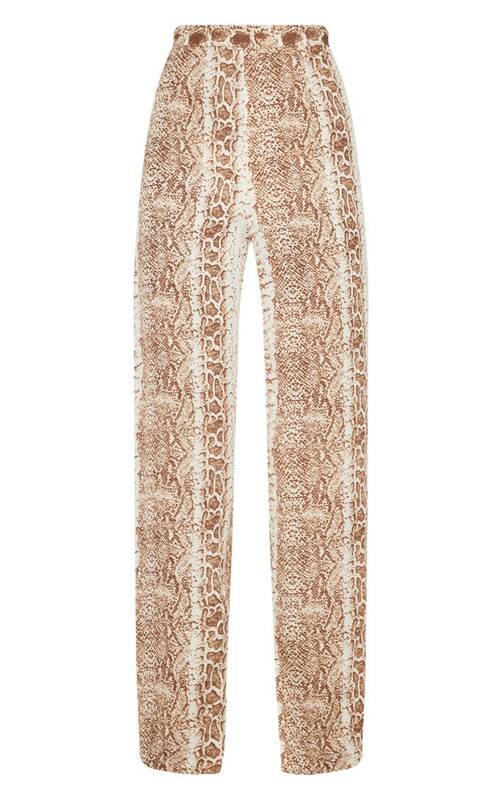 We are loving prints this season and these wide-leg pants are everything we are loving. 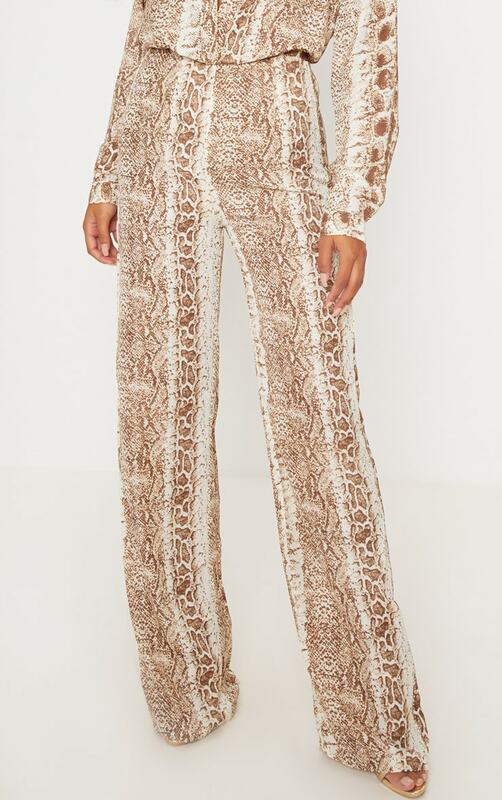 Featuring a brown snake print material with a high waistline and a wide-leg fit. Team these pants with the matching top and strappy heels to complete the look.